How do we create a product and platform that people love and empowers the 1.7 billion around the world that don’t have access to formal financial services? Kenya and MPESA have become a clear mobile money success story. Despite challenges with poverty, low literacy, and connectivity, MPESA covered 38% of households within five years of it’s launch in 2007. Now, 10 years later,MPESA has 86% adoption in Kenya and has brought financial inclusion to millions of the poor and vulnerable. 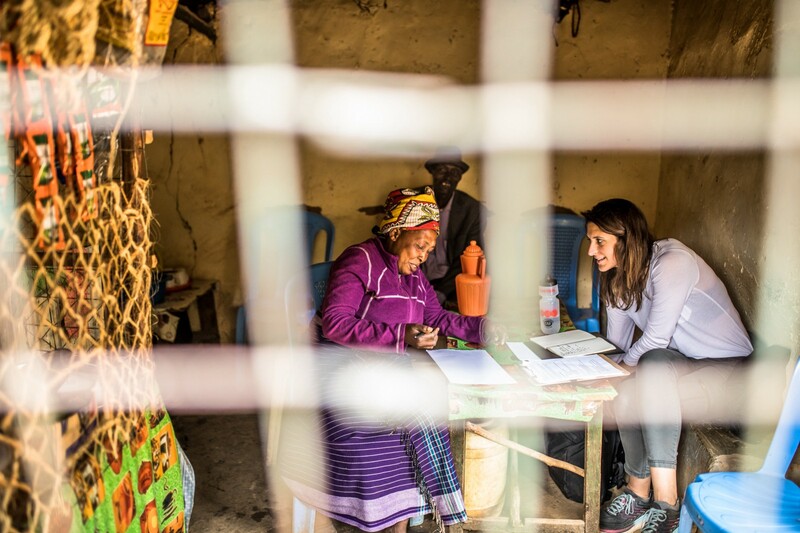 Our goal was to learn from MPESA’s success, test some of our assumptions about financial inclusion, and do some usability testing on our current app. We plan to do research in other markets as we get closer to launching our pilots. Before we left, we hosted an assumption-storm with the team, gathering all of our assumptions around mobile phone usage, trust and adoption, and mobile money. These served as foundational questions to answer and formed the base of our research guide. In total, we spoke with 24 Kenyans: urban and rural, middle class and poor, male and female, and across all ages. Our qualitative methods included Q+A, home tours, card sorts, and journey mapping. From our research emerged an early framework to adoption. We were surprised just how much Kenyans love MPESA, and the “process to love” followed a similar path. We have ~12 insights along the above user journey and are sharing key ones below. Our insights translated into four key design guidelines. To help our team understand and apply the guidelines, we hosted an activity to redesign our UI based on the learnings. We learned a lot more about Agents and the ecosystem at large and will be spending the next few weeks turning the rest of our learnings into tangible material for both the Celo app and protocol. We recognize Kenya is a unique example for many reasons. We believe many of the insights from this trip will apply broadly, but in the future we will also do our best to understand the contexts in all the places that we work.